United by their passion for high-quality ingredients, a group of skincare professionals got together 15 years ago in Northern California with founder Susan Costner-Kenward. This forward thinking group discovered what natural formulations work best for all skin types. They created vegan friendly formulations of healing herbs, essential oils, and natural fragrances under the name Vineyard Hill Naturals. Why “vineyard”? Because vines and grapes actually hold exceptionally nourishing and regenerative powers for the skin! 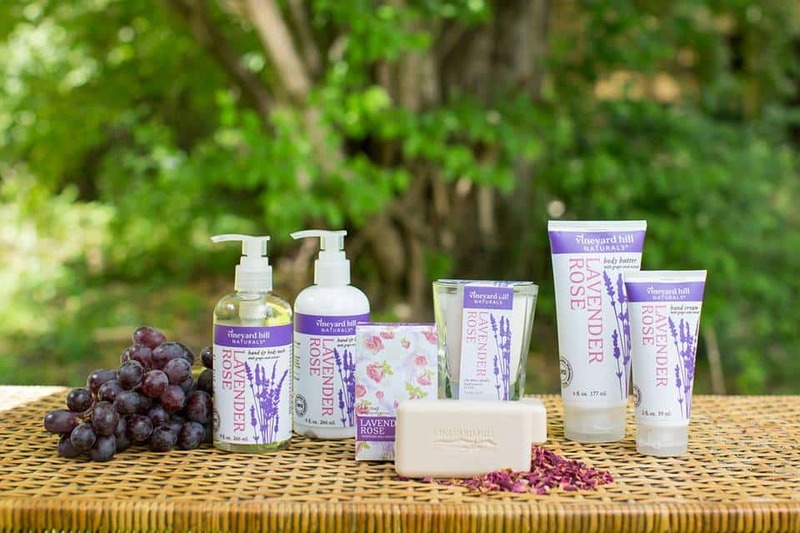 Instead of throwing out grape seeds after each harvest, Vineyard Hill Naturals makes use of grape seed oil and extracts for their artisanal bath and body collections. Grape seed oil is packed with omega-6 and vitamin E, making it an excellent choice for the skin. Besides this oil, Vineyard Hills uses organic extracts of calendula, chamomile, lavender, green tea, and cucumber among others. Want to try them for yourself? 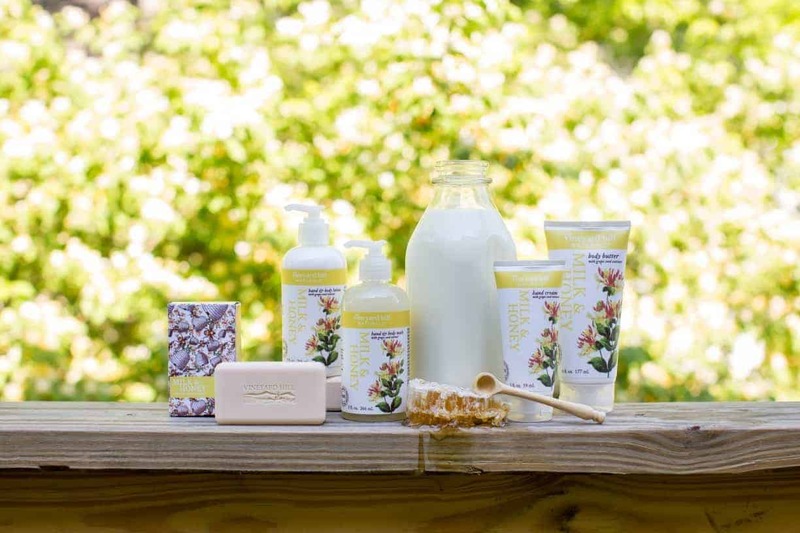 One lucky Hello Glow reader will win a full set of Vineyard Hill Naturals products, including: bar soap, hand/body wash, hand/body lotion, body butter, shampoo + conditioner, hand cream, and aromatherapy candle. The winner can choose their favorite scent, from Lavender Rose, Lemon Verbena or Milk & Honey.